For quite a while, Battlefield 2: Modern Combat was my favorite Xbox game. I played it religiously every night, if only for a few minutes, on Xbox Live. I started playing shortly after the Xbox 360 came out, at a time when many gamers were giving up on the original Xbox, but there were still plenty of people playing online. From the controls to the graphics, everything about this game worked. The only problem was the map glitches that cheaters liked to exploit, and they ruined the game for everyone else who was playing. Battlefield 2: Modern Combat is a first person shooter set in Kazakhstan. What makes it so much fun is that not only do you have a variety of weapons to choose from, but the game also has a bunch of vehicles you can drive or even fly. You can jump in a Jeep and race over to the enemy’s side to capture their flag, or you can get in a tank and start blowing up everyone. Either way, it’s a lot of fun, especially when playing online with a good group. This game was originally made for the Playstation 2 and Xbox video game consoles, but an Xbox 360 version was also released. 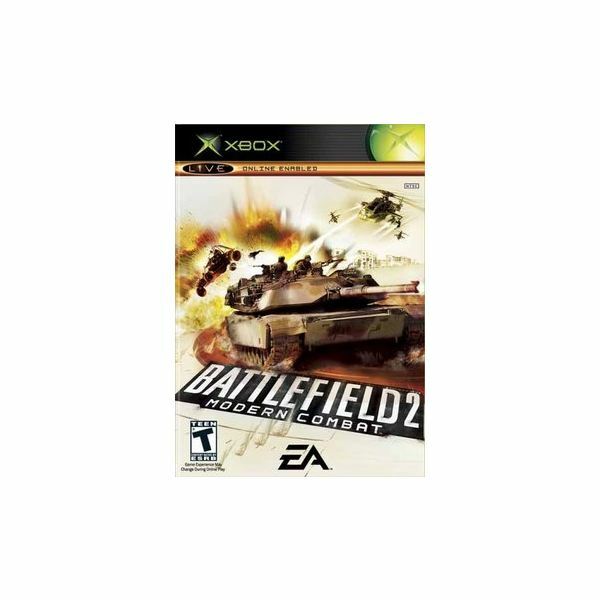 There’s also a Battlefield 2 PC game, but it is nothing like this console game. I was pretty impressed by how well this looked on the original Xbox, and I heard the Xbox 360 version has even better graphics. I’d compare it to the look of the Battlefield 2 game on the PC, but maybe not quite as sharp. Even so, the vehicles all looked realistic enough, and the soldiers also looked nice. The environments are laid out in a way that provides lots of cover from enemy fire, and the overall design of them is great for online play. The developers of this game made great effort to create a realistic experience, and there’s nothing about the graphics that seemed cartoonish or too over the top. The control system in this game works incredibly well, and that’s a big part of what makes it so fun. Each vehicle handles differently, just as each soldier’s weapon has strengths and weaknesses. For example, a sniper rifle has the best range, but it shoots and reloads much slower than a standard machine gun. I got to be really good at timing my rocket launcher shots so that I could hit moving targets, such as a Jeep full of enemy soldiers. I used to get all kinds of compliments for being able to pick them off from afar. It has been many months since I last played this game, but the main reason I quit was because there were so many cheaters online. What they were doing is called ‘glitching’, and that’s when you find some part of a map where you can hide inside a building by way of a glitch in the program code. Youtube is full of homemade videos that gamers have made to show you how to enter the glitches and rack up kills from inside. I find this practice very unfair to other gamers and really disrespectful, but it got to be so prevalent that I was having trouble finding games without glitches. Despite annoying players on Xbox Live, Battlefield 2: Modern Combat is still a great game for the original Xbox. It paved the way for the current hit game, Battlefield: Bad Company, and is another entry in what has been a very successful series of games for console systems as well as PC. Check out this collection of other Battlefield 2 reviews. Battlefield – PC’s best FPS Series?